Happy Halloween everyone. Steph Ackerman here with a cute card using the Trick or Treat Set. 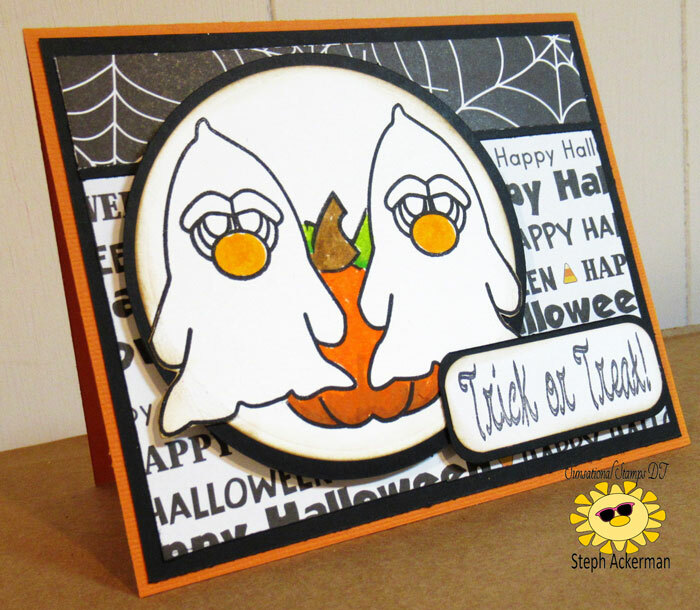 This stamp set has 11 stamps for you to create a nice variety of Halloween cards. I used a masking technique to create my design so it appears the ghosts are hovering over the pumpkin. The pumpkin was colored with Copic Markers and the image was die cut with Spellbinders dies. 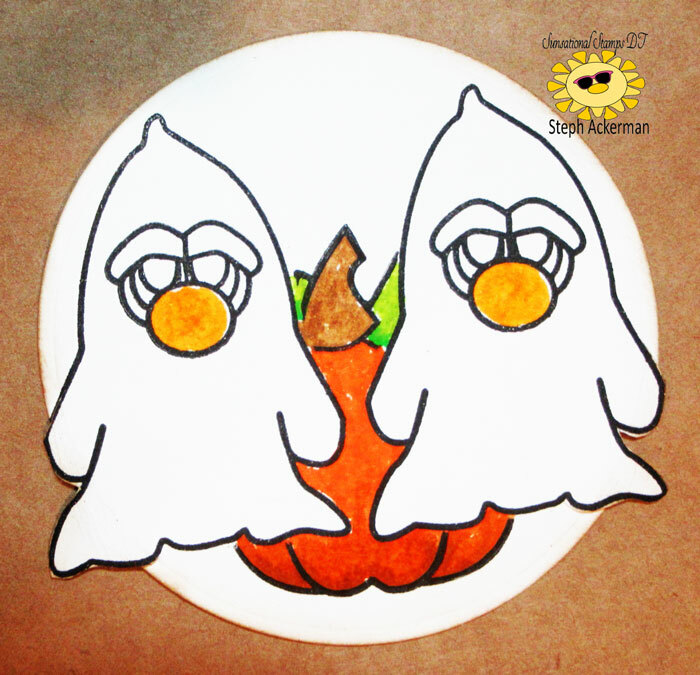 Using an assortment of Halloween papers, I created the card, then added the image on a larger circle before placing it on the card. 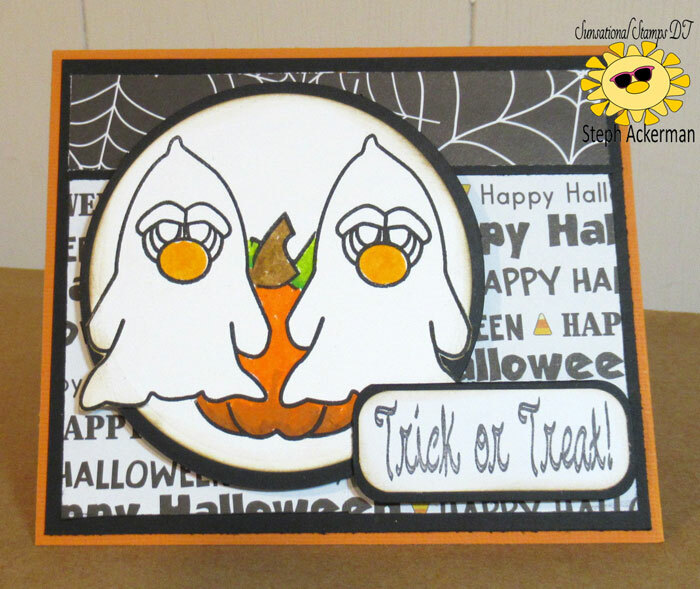 Trick or Treat was stamped and added to the card with foam adhesives for dimension.